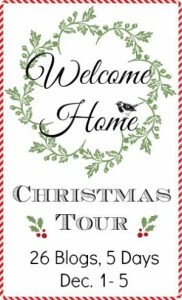 I’m wondering…how do you say Welcome Home at Christmas? 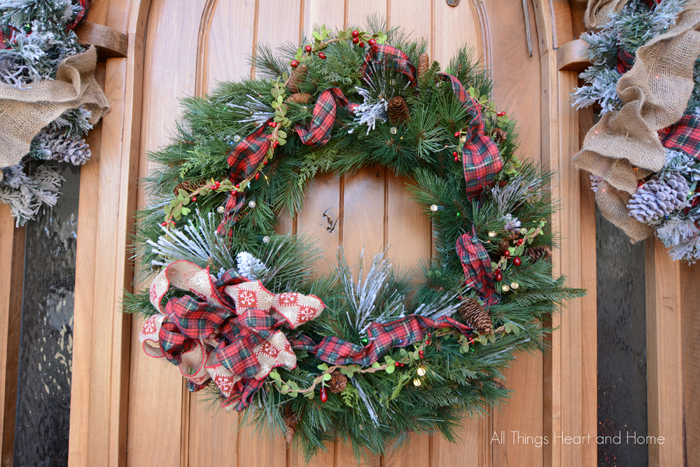 Do you hang a beautifully simple evergreen wreath on the front door? Do you blanket your bushes with twinkle lights to welcome family and friends on cold December nights? Do you have a blow up snow globe in the front yard!? Whatever you do, it’s the attitude behind the expression that counts don’t you think? Today there are 2 more blogs joining me~Tuesday – Friday there will be more! « Angel Wings on Canvas! Oh, your home is so beautiful! I love your arched front door! The wreath is lovely and the garland is so pretty too! Your home is so beautiful Robin! 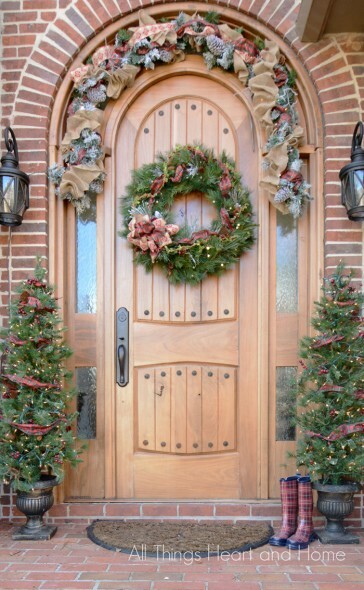 I have always loved a wreath on every window and your garland above your front door is lovely! I know exactly what you mean about having kids underfoot and how hard it was to even get a wreath on the door. Mine are bigger now and sometimes it still feels that way! Have a great week and thanks so much for the tour…and for including me! See you Friday! Beautiful Robin!! I especially love the reindeer on the lawn!! Your home is welcoming any time of year, Robin. I love the wreaths on each window. It really does say Christmas. Thanks for sharing your home and your inspiration today! What a beautiful home–so classy and lovely! Your home looks lovely! And so very warm and welcoming! Thanks for shraing it with us! So beautiful! 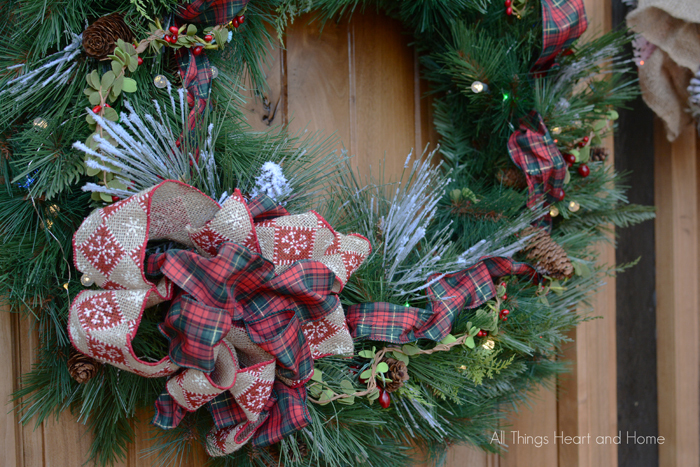 I love all of the wreaths and the special touches…especially the welcoming heart that was put into it. Your home is beautiful and with your Christmas decor it looks magnificent! 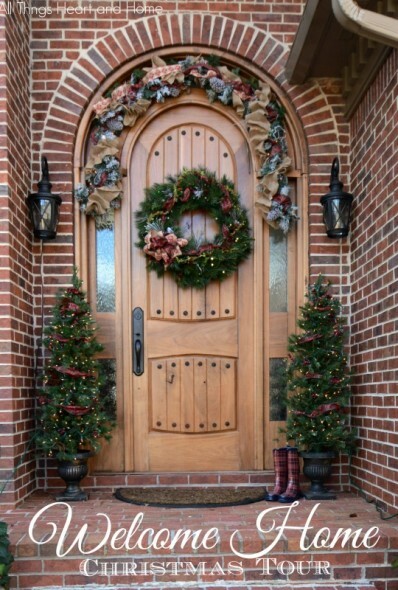 I love your front door with that gorgeous arch and your wreath and swag make it that much prettier. Beautifully welcoming Robin! 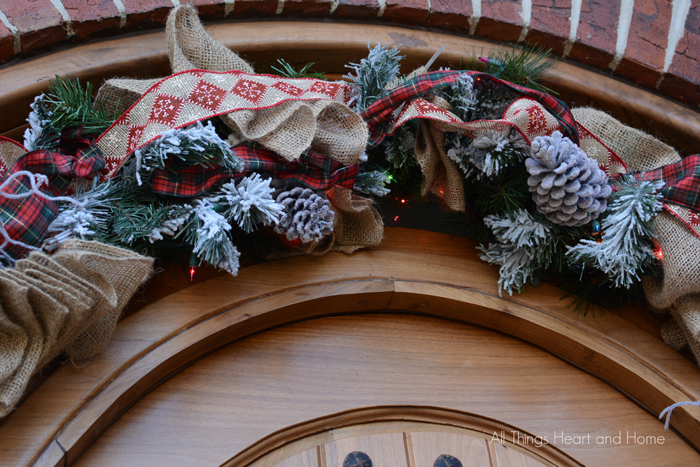 You’re home is gorgeous and I love the traditional look of the wreaths with red bows on all of your windows . So festive and pretty! Such a stunning home dressed for the holidays!! Love your style and home. Such a beautiful and inviting entry! Your home is stunning Robin! 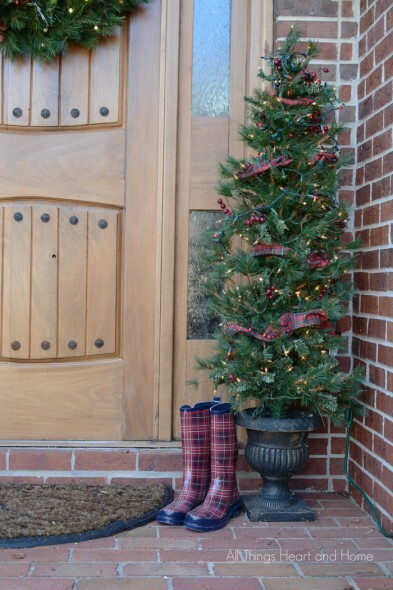 I love your front door decor – so pretty, wish I could come over for a visit!! Pinning! Stunning and classy without being overdone!! I love your front door even without any decorations. It’s stunning!!! WOW your home is absolutely gorgeous.Nothing is prettier than wreaths on windows with pretty red bows,It’s classic and so beautiful! I did the same thing on my home.But yours is much prettier than mine! Thanks so much ,thrilled to be a part of the tour!